The glorious burst of colour in this arrangement brings the splendour of the countryside into your home, and will add a seasonal charm to any room. 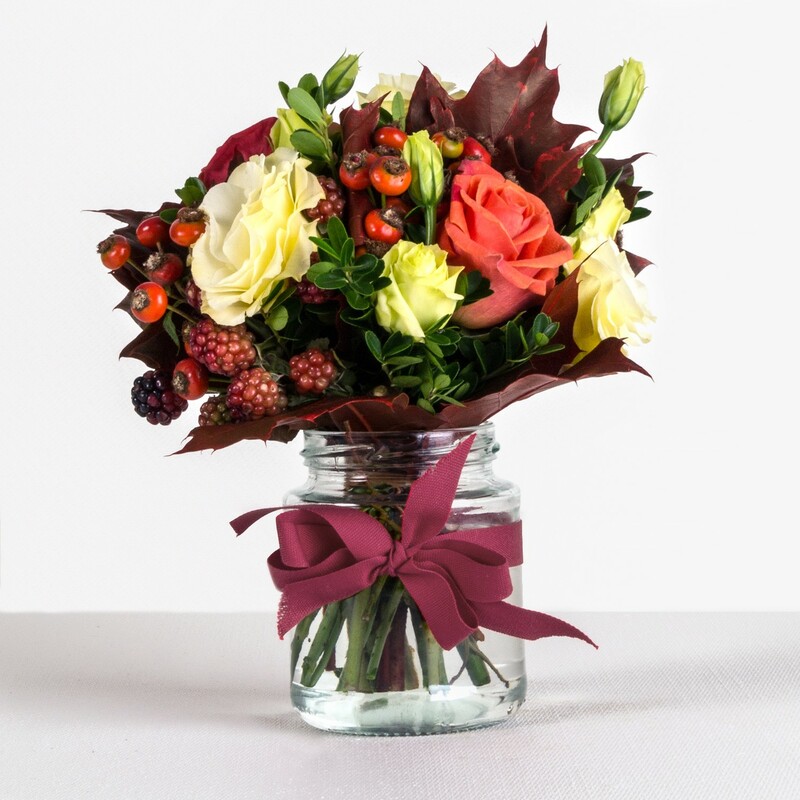 The classic elegance of red roses combined with whimsical sprays of blackberries and hypericum make for an eye-catching display, while oak leaves, asclepia, carthamus and the blooming heads of cream brassica create a brimming arrangement inspired by the autumnal hedgerow. The bouquet is presented in a mason jar and tied with plum-coloured ribbon to create a delightful piece that will brighten your home, or makes the perfect gift. © Copyright 2014-2019, all rights reserved.